Matt Schonwald began skiing as disco was dying in New York at Hunter Mountain, ‘The Snow Making Capital of the World’. A summer ski trip to Mt Hood inspired him years later to move from New York City to Washington State for college and he never looked back. After skiing on 5 continents, Matt founded BC Adventure Guides to share his passion for skiing new places, which include guided ski trips to Antarctica, Europe, Asia, North & South America. 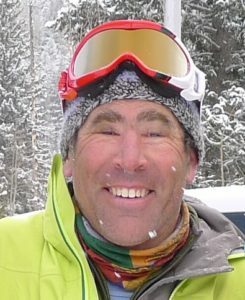 He is a certified AMGA Ski-Mountaineering Guide, a certified Avalanche Instructor with the American Avalanche Association and Professional Observer with the Northwest Avalanche Center. Dedicated to perfecting his craft, Matt completed his MBA in sustainable business from BGI to help preserve wild places. Matt now shares his passion for snow with his daughter between completing his ‘honey do list’ and enjoying the greatest touring on Earth at Snoqualmie Pass.